Now that I’ve stopped being webinar-resistant (I thank lots of meditation and more free time), I’ve been enjoying getting to give a lot of different types of presentations. Thanks to the oddness of scheduling, I did two very different talks on Wednesday. The first one was for NCompass Live who does great continuing ed stuff, all of it available online for free. 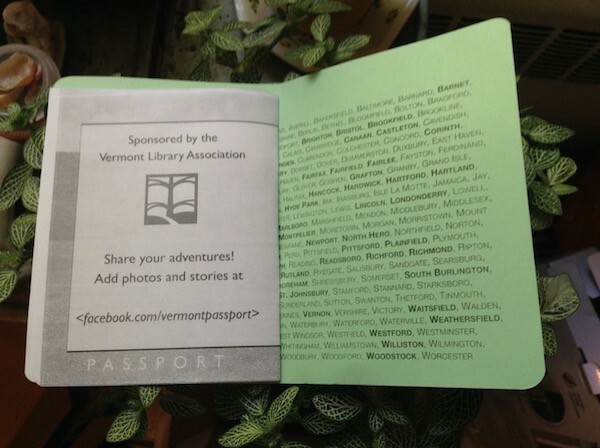 I talked about the Passport to Vermont Libraries program (program website) in depth for about an hour and took questions. Small crowd, maybe 14 people. No live-tweeting. Fun. They put their recordings up on YouTube and you can watch mine here. The second talk was for the SJSU-sponsored Library 2.016 Worldwide Virtual Conference. Michael Stephens was putting this one together and I was one of five people on a joint keynote thing, so I had about eight minutes. 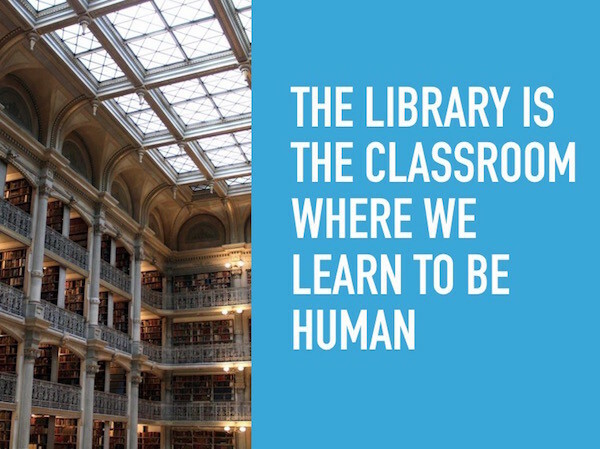 To me eight minutes means “One big idea” and so I decided to take a critlib angle and talk about how the library just IS a classroom and what it means to learn in a less-structured environment. There were maybe 400 people logged into a somewhat hectic Blackboard environment. You can listen to the recorded talks here, but I extracted mine into an eight minute (somewhat clunky-sounding) video if you just want to check that one out. As always, my notes and slides are available on my website. This was a particularly good looking set of slides if I do say so myself. This image is the catchphrase that seemed to scoot around the Twitters. As always, it was really fun to get to interact with listeners (in both situations) and get to see what other people are jazzed about and talking about.